This is the BEST salsa I’ve ever had! We like it best on chicken tacos or straight out of the jar 🙂 Filled with mangoes, tomatoes and bell peppers it freezes perfectly so you can make a bunch and save for later. So there’s a bit of a story here. My oldest girl’s 4th birthday was at the end of May. Since my kids still go to bed pretty early, we usually have the family over for supper to celebrate so we can wrap things up pretty early. For her birthday this year, we did a big taco spread with chicken and beef, hard and soft taco shells, tortilla chips and — just to mix things up — I bought a jar of Newman’s Own Mango Salsa. Before I had even had a chance to eat anything the family was raving over the mango salsa! Everyone seemed to really love it, and I did too once I got a chance to try it. It is seriously the BEST salsa! And if you’re actually too lazy to make Mango Salsa, you could go and buy a jar of Newman’s Own and it would be just as good. BUT, I am going to have a garden full of tomatoes and hopefully peppers so I thought I’d better do some experimenting and make my own version. This was a labor of love. 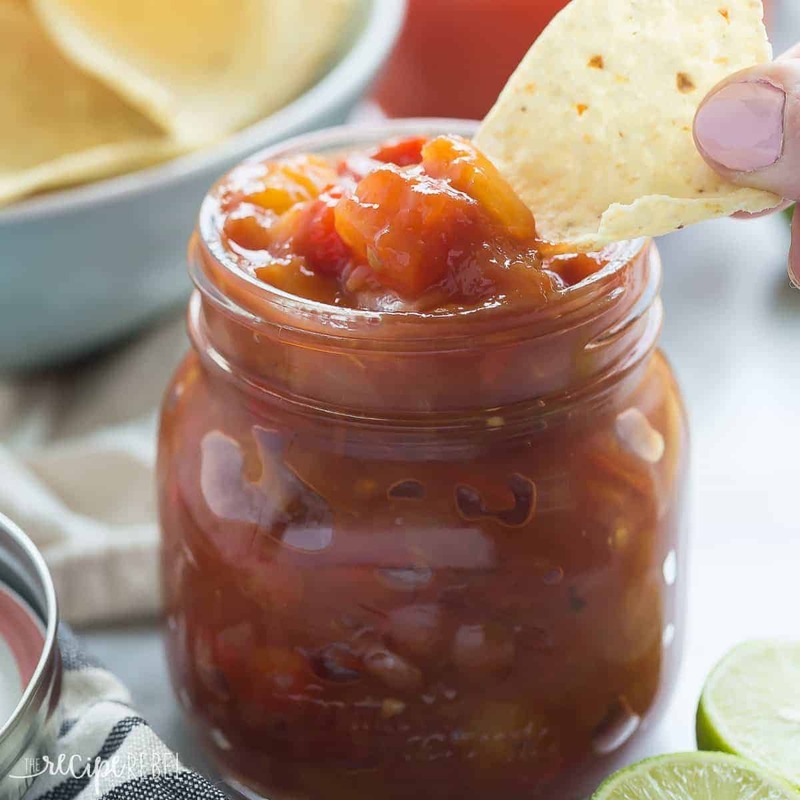 I experimented a lot with varying amounts of ingredients, and in the end I couldn’t get the recipe as close to Newman’s Own as I would have liked, but it’s a really awesome salsa with a sweet, fruity twist that we love! 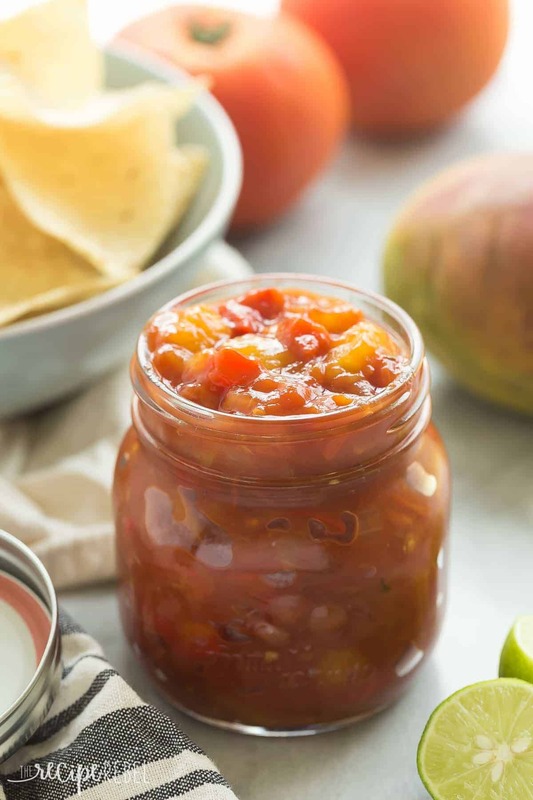 There are a lot of fresh mango salsa recipes out there, but I actually prefer a cooked salsa. 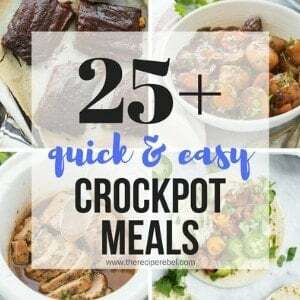 And this way it’s easy to make ahead and freeze for later! Because I’m not a canning expert and the recipe is 100% my own creation, I don’t recommend canning it as I can’t ensure a safe pH level. If you want to freeze it, simply scoop some into freezer bags, seal, and lay flat — this way it thaws quickly when you need it! You’re going to want some good quality freezer bags to store this salsa for later — don’t simply use regular sandwich bags! If you prefer to freeze it in something you can keep serve it from, check out these plastic freezer jars — they are one of my new favorite things for preserving summer produce! They’re perfect for jam too. This is the BEST salsa I've ever had! We like it best on chicken tacos or straight out of the jar ? Filled with mangoes, tomatoes and bell peppers it freezes perfectly so you can make a bunch and save for later. 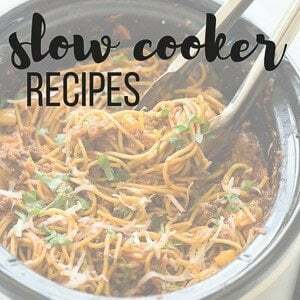 Bring to a boil over medium heat, then reduce to medium low and simmer for 45 minutes - 1 hour, until mangoes are tender and flavors have melded. At the 20-30 minute mark, taste and adjust as you desire, adding more sugar/lime juice/salt/jalapeno to suit your tastes. Let cool for 15 minutes before dividing between several freezer safe containers or large freezer bags. 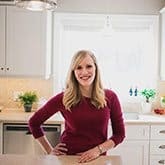 Keep some in the fridge to eat immediately and store the remainder in the freezer for another use (I recommend using freezer bags and laying them flat to freeze). Bring to a boil over medium heat, then reduce to medium low and simmer for 45 minutes – 1 hour, until mangoes are tender and flavors have melded. At the 20-30 minute mark, taste and adjust as you desire, adding more sugar/lime juice/salt/jalapeno to suit your tastes. Yes, we love the Paul Newman one too! Thanks Jessica! I am definitely going to make this. I am also going to omit the jalapeno as I just can’t handle the heat. Thank you. I’d love to hear how you like it! I can’t recommend canning it because I haven’t tested the pH level of the recipe. I’m sorry — I don’t have any others! Can I use this same recipe (or alter it differently somehow) and store in jars in my cupboard? Instead of my freezer? I honestly can’t say because I’ve never tried — the pH level has to be tested for it to be safe for canning. 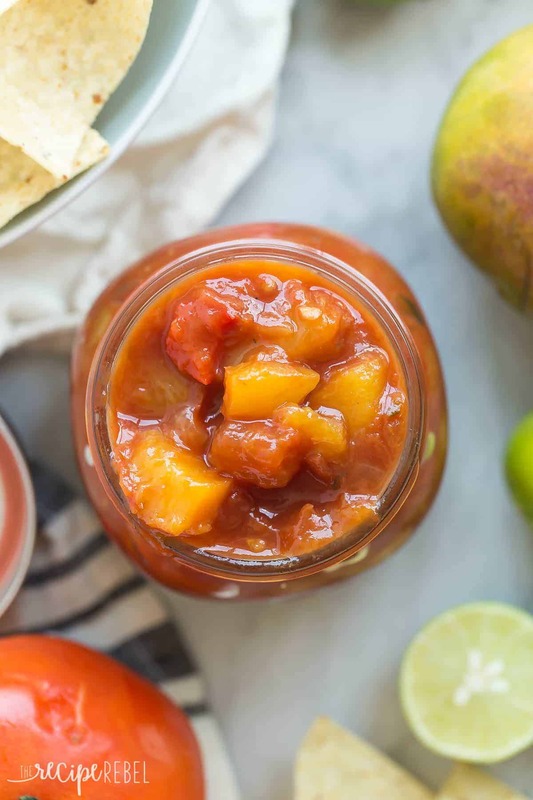 I can Mango/tomato salsa all the time. You can process it in a pressure canner if you don’t want to take the chance of open kettle canning it. I would make sure to cook it at least 45 minutes. I set me jars in a pan of hot water while I am filling them so I don’t really worry. My recipe would be more like 5 mangos to 5 lbs of tomatoes. Then put in 3 green bell peppers and 4 onions. I just made this and it’s a winner! A few changes I made due to what I had available: I used 6 romas instead of 3 large tomatoes. Because they are more jammy when cooked, I had to add an additional cup of water so they wouldn’t burn. I also cut the amount of sugar in half and it was perfectly sweet. You came up with a great recipe!!! I’m glad you liked it Angie! We love Newman’s Own mango salsa! I need to try this soon! I know the salsa you are talking about and I tried it by mistake once and loved it. 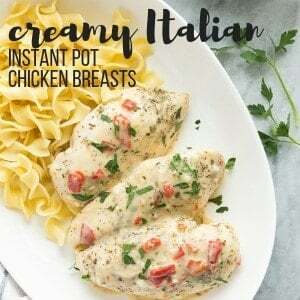 I can’t wait to try this recipe to make it at home. Thanks for it!! Isn’t it amazing?!? It is our new favorite thing! Thanks Zainab! Oooh a taco bar sounds like so much for your daughter’s birthday! Hope she had a great one 🙂 I am a huge mango and salso lover so I would totally be hiding in the corner with this jar all to myself! It looks amazing! Lol! My husband and I are constantly fighting over whatever’s left of the mango salsa. Thanks Kelly! Lol, girlfriend, I have actually had Newman’s mango salsa, and it is pretty dang good. BUT I can pretty much guarantee THIS mango salsa tastes 5 bazillion times better! I mean, hello homemade and SUPA fresh beats store bought any day! Sorry Newman. 😉 LOVE this! I will be eating this straight from the jar, thank you very much. Cheers! Haha! I do love me some Newman’s Own, and I’m glad I was inspired enough to try making some because it is going to be a regular occurence here! Thanks Chey! We usually prefer tangy green mangos in salsa, so I would love to give them a go in this recipe! Hi Ashley! We do a lot of canning since we have a big garden. I’ve added pineapple, peaches, black beans and corn (not all in one salsa) to make different salsas. I will be on the lookout for mango now! I definitely want to try this with pineapple and peaches next! I love the added sweetness the fruity gives (since we’re not big fans of sooooo much spice!)! Oh mango salsa? I love it! I’ve made a chunkier peach mango version before, but I love the texture and flavor of this one. Definitely perfect for all of those chips I keep stashed in my pantry!